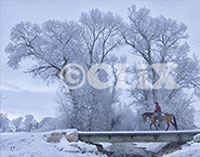 CLiX Photography specializes in quality equine images for editorial and commercial photo needs. 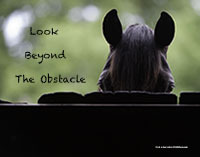 Use categories to the left or the above search box to find what you need in our online equine photo database of horse and equestrian images. Shawn is available for private photo shoots. A half day shoot costs $ 250.00 and includes one 8 x 10 and one 5 x 7 print or one 11 x 14 and a stick of 4 x 6 final images is provided. 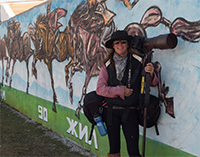 For riders wishing to purchase photos from a horse show we attended please see 00 SALES TO RIDERS categories on the left. One free FB photo will be offered with any print purchase. If you do not see yourself there yet please email us and we will put you on the priority list. Please click the ART category to the left to see some of Shawn's favourite images printed on canvas, metal, fine art paper or photo paper. Shawn's art can be seen in person at A Gift of Art in Newcastle. 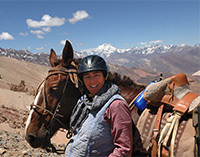 Our extensive data base of images includes equine Breeds, Health, Feed and Nutrition, Trailering, All Disciplines such as Trail Riding, Dressage, Eventing, Show Jumping, Western, Reining, Vaulting, Endurance and Driving with an exciting Equine Travel Section with Images of Riding Vacations all over the world including Crossing the Andes by Horseback, Exploring the Yukon, riding to Wild Horses in Wyoming. and treking through Mongolia. See the Published articles section for those stories. New images are uploaded weekly so make sure to bookmark us. ALL health photos including veterinary visits, vaccinations, worming etc. can be found under the HEALTH category. If you have any specific needs that do not appear on this site please contact us and we will be happy to provide you with contact sheet proofs of images which have not yet been uploaded. We are always happy to answer any special requests or to help you find the perfect photo.We are also available for farm visits and private shoots. Enjoy!